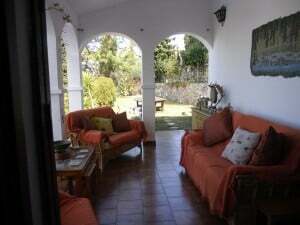 Villa Andalucía is a highly reputable B&B in the lovely village of Competa in Andalucía Costa del Sol. Helen Hares who is the land lady is a sponsor of LetsGoNorth meets LetsGoSouth and also a supporter of the North Highland Way Challenge and she has kindly offered 2 nights B&B as first prize in the North Highland Way Challenge, this is an event that takes place every year, the founders of the North Highland Way throw down the gauntlet to participants to take the challenge to cross some of the most spectacular and remote countryside in Scotland. LetsGoNorth meets LetsGoSouth is a new tourism venture of finding parallels between Scotland and Spain regarding culture and history, this is the brain child of Tina Irving who used to own property in Competa and this is how Helen got to know Tina and now they are very good friends. Villa Andalucía is situated on the side of the mountain with stunning unrivalled views down the valley, across the Mediterranean as far as the Rif Mountains in Morocco. We have 7 patios, 3 lawns, a swimming pool, 2 BBQs & a lovely mature garden for you to relax in. Even when we are fully booked there is always a secluded corner for you to relax in. We have solar water installed, A/C in the Apartment & and Orange Room. We have two ensuite rooms and one apartment for rental all with their own terrace areas, drink making facilities, fridges and fans and heating. The apartment has a kitchenette and lounge complete with library, games, DVDs and television. We are entirely flexible on the change over days. Our property is situated on a large plot with 2 separate entrances & is totally private yet only a short stroll from the village centre – ideally placed for a relaxing holiday yet close to shops, bars & restaurants. Our pool is set in beautiful gardens with some wonderful exotic plants as you can see from the photographs. Here you can take your breakfast while looking down over the valley and the surrounding mountains down to the coast and deep blue sea. 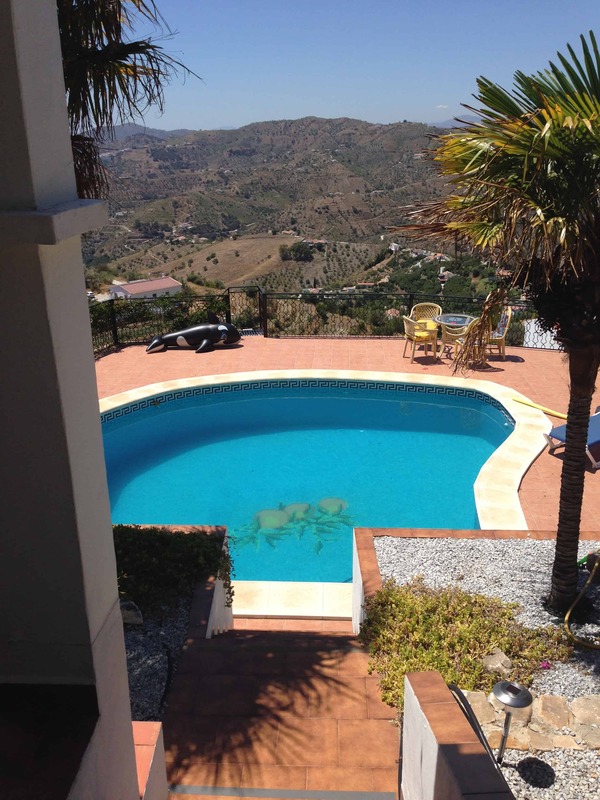 Come and stay with us at Villa Andalucía in the white village of Competa, Andalusia Our unique accommodation provides B&B or self catering apartment holiday. We can provide breakfast, dinner and BBQs (for something special why not try our Champagne breakfast), arrange trips and activities and provide you with information on the surrounding area so you can make the most of your holiday. Recently awarded a Certificate of Excellence 2014 from Tripadvisor. Competa holidays have lots to offer. We are surrounded by national parks and breathtaking mountains but only 25 minutes from beautiful beaches. You can horse ride, bird watch, quad bike, ski (yes really), sail, walk and most importantly relax – all from this fantastic base. Your Competa holiday need not break the bank. Food here is excellent value and high quality from light lunchtime tapas to wonderful evening meals in one of our great restaurants. 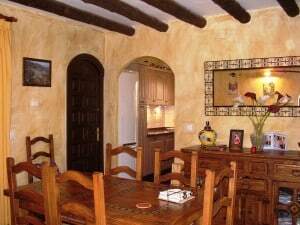 Self catering in Andalucía is also an option as we have a studio flat with kitchenette. 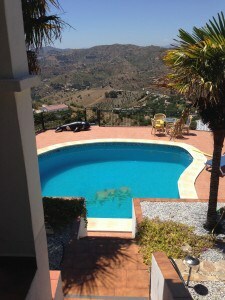 So waste no time book your Competa holiday at Villa Andalucía!